Fun’ Lovin Criminals play Worthing’s Pavilion Theatre on March 7 next year. 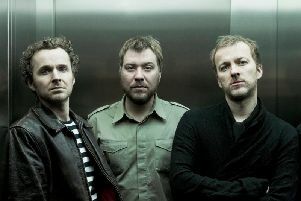 Spokesman Thom Milner-Smith said: “The multi-platinum New York trio announce a headline UK and European tour to celebrate the release of their new album Another Mimosa. “Fun Lovin’ Criminals burst onto the music scene in 1996, gate-crashing the euphoric Brit-pop party with unforgettable finesse. Heralded for their generation-defining blend of styles and effortless Lower East Side charm, FLC’s refreshing cocktail of rock n’ roll, funk, blues, soul, hip hop, jazz and latin, gave the Crims a unique timelessness that is still apparent three decades on.